The last weekend getaway scheduled for the summer was on the 8th of August at the spur of the moment to Savannah. 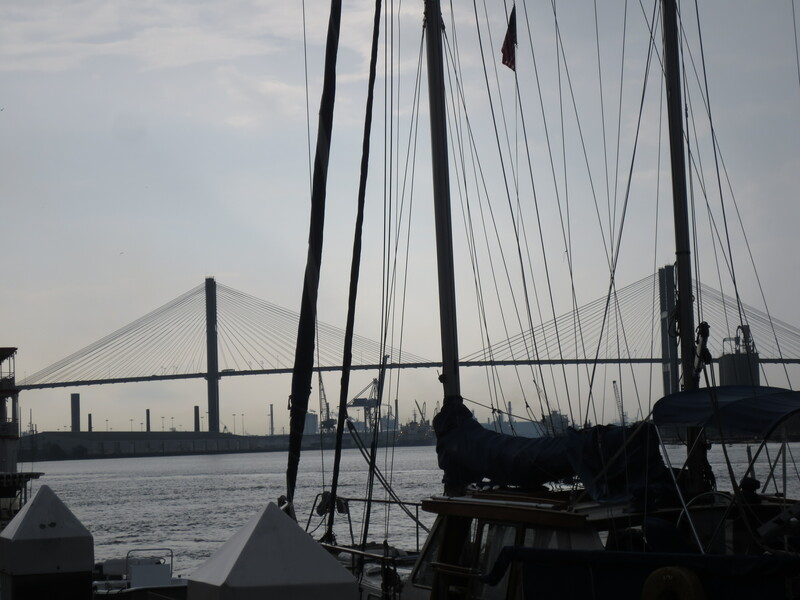 Much of the area around the town is known as Low Country, off a forty-foot bluff above the Savannah River, but an important aspect about this port city is knowing there is always great seafood. And, true to its southern form no matter where you eat the food is always absolutely delicious. Harper Fowlkes House is a 1842 Greek Revival mansion designed by Irish architect Charles B. Clusky. The original gasoliers, mirrors and period antiques are still found throughout the home. Davenport House and Garden was designed and built by owner Isaiah Davenport in 1820, a stately Federal style home is one of the handsomest examples of Georgian architecture in the city. 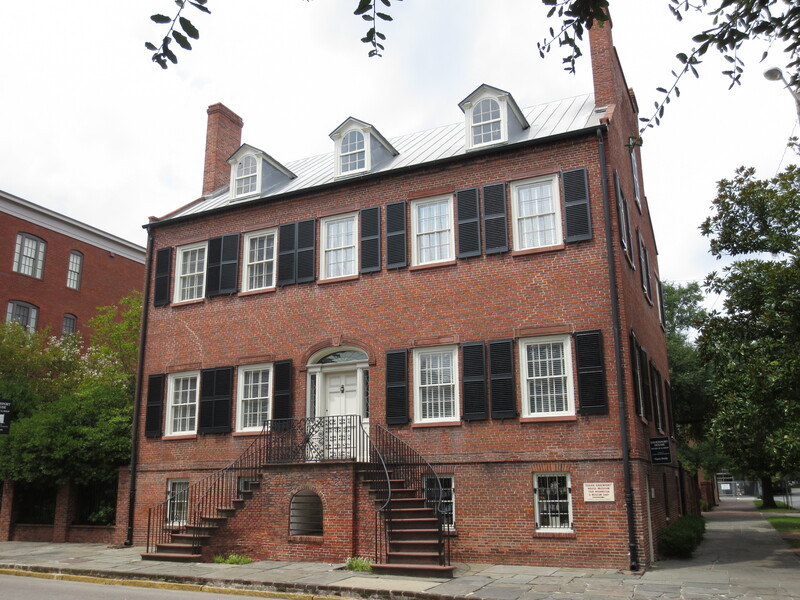 Davenport was an accomplished carpenter and built several private homes within the city of Savannah, professionalizing the building industry. Stationed in the Historic District there was no need for a car so, we walked every street exploring the beauty of the past. While on the plane I reviewed my notes from our last visit, and there were three sites we needed to see pending our arrival. 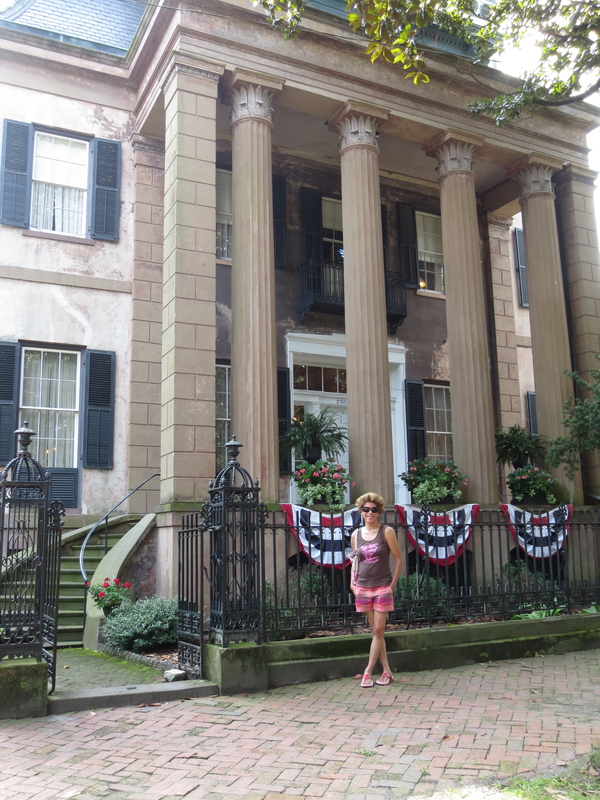 First on the list was the Harper Fowlkes House on Barnard Street and Orleans Square. 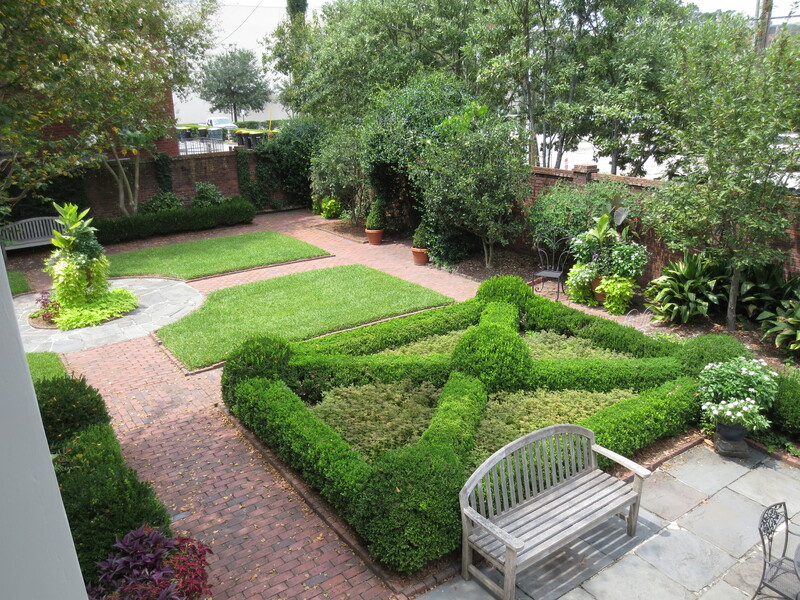 The second was the Davenport House and Garden on East State Street and lastly, Bonaventure Cemetery, located on the outskirts of the city to see where Georgia’s first governor Edward Telfair, Academy Award winning songwriter Johnny Mercer and poet Conrad Aiken are interred. 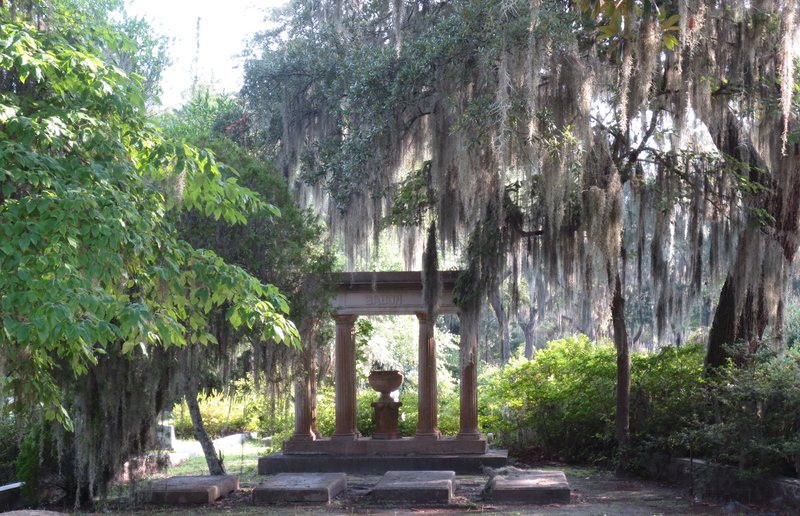 Bonaventure Cemetery is built on the scenic bluff of the Wilmington River, east of Savannah. Though three houses have stood on the site, but none remain today. A former 18th century plantation, Bonaventure is a Southern Gothic sculpture garden with canopies of live oak and magnolias, laced with Spanish moss. 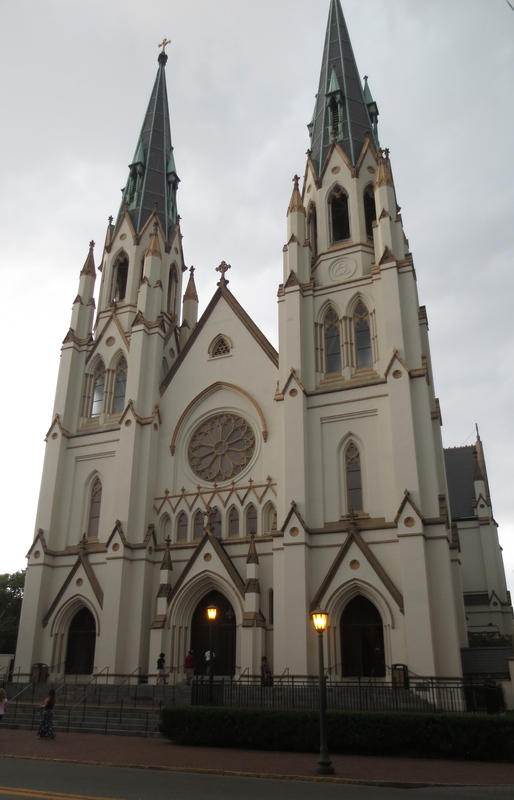 The Cathedral of Saint John the Baptist on East Harris Street in the Historic District of Savannah. When in Savannah last year, The Cathedral of Saint John the Baptist was under scaffolding and a great deal of construction due to a fire. But, this year while site-seeing a serious storm brewed and the wind blew in huge gust around 4:15 that afternoon. We made it to the church just as the sky opened up and a torrential rain fell. It was a wondrous feeling to sit in the church and meditate while the storm raged outside, it gave one a great sense of comfort to view the interior of this impressively beautiful French Gothic Church with its stained glass windows and magnificent Altar. Great way to spend your summer, getting up close and personal with the plethora of treats that are available to any traveler. 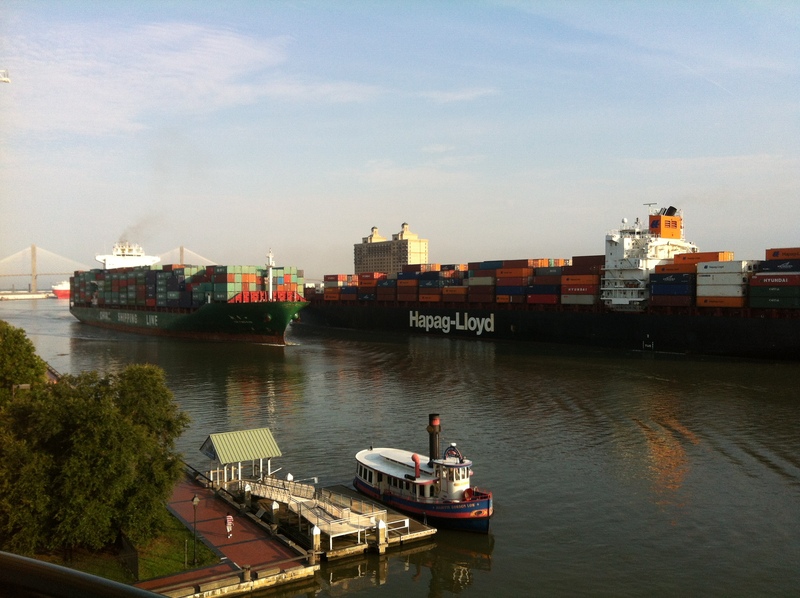 I enjoy these pictures and can vicariously enjoy this jewel of the South. What a beautiful city to visit….you must have had a great time.